FanFest includes every professional race team, riders, interactive sponsor displays, live music, and more. Meet the world's best riders, get autographs, and experience the excitement! FanFest Passes are available for purchase through UNLVtickets.com or 702-739-FANS. Or get FREE access by simply recycling an empty can of Monster Energy. Restrictions and additional charges may apply. FanFest Passes must be accompanied by an event ticket. Please arrive early to allow ample time to enter the stadium. To provide a safer environment for our fans, Sam Boyd Stadium has implemented a clear bag policy. Please refer to Sam Boyd Stadium's updated bag policy, which can be found here. An exciting adrenaline rush in the all-wheel drive Toyota RAV4 Adventure. 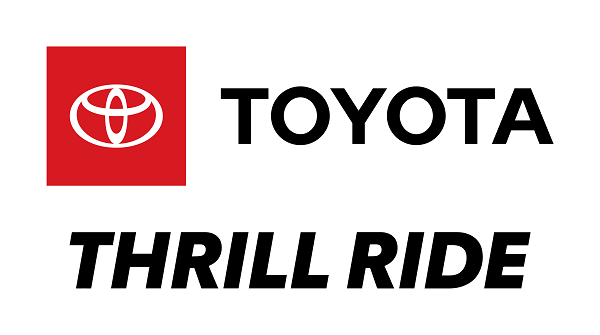 Toyota is excited to bring the exhilarating Toyota Thrill Ride to Supercross in Las Vegas on Saturday, May 4th. Ticketed attendees inside the pit party have the chance to ride along with a professional driver inside the Toyota RAV4 Adventure in a heart-stopping, mud-flinging, breathtaking closed course thrill ride. Thrill seekers wanted! A Supercross start gate signals the race for the hole shot in the RAV4 Adventure. Watch the Supercross Futures Event at Sam Boyd Stadium on Sunday, May 5.